If there’s one thing I’m always on the search for, it’s a foundation that will work wonders for my skin, look flawless and match my skin tone perfectly, and I think I might just have found it. 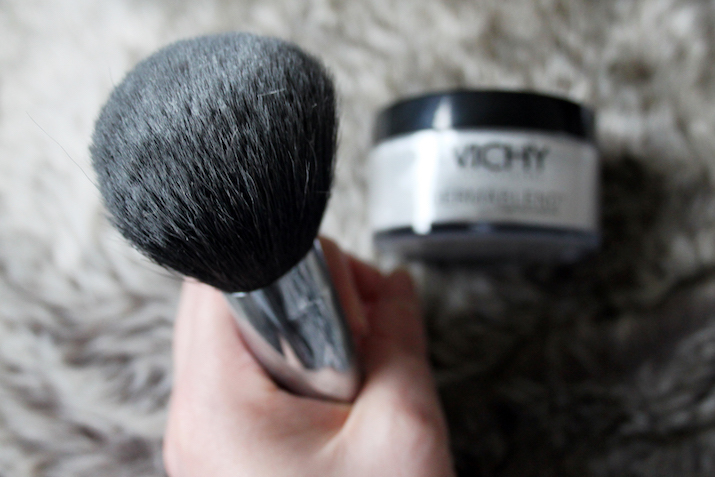 I’ve spoken about my love for the Vichy Dermablend Fluid Corrective Foundation in the past and declared my love for it, but as many bloggers know, when new products come along that you want to try, sometimes you forget all about the things you know and loved. 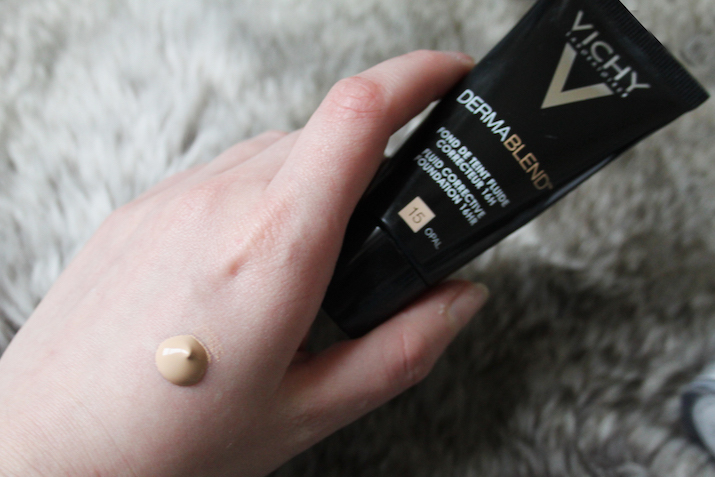 I hadn’t used Dermablend for quite a while, so when I got a tube in the new packaging style, I was super happy to have it back in my make up bag, and have used it every day since before Christmas. I also got the Dermablend Setting Powder that I’ve used alongside the foundation, and have been loving the results. The foundation is an absolute dream, to cut a long story short. It’s a full coverage foundation in a light cream consistency and has a lovely dewy finish to it. I wear the shade no.15 Opal, which is the perfect match for my skin tone and evens out any redness or pigmentation on my face in an instance. Usually when it comes to foundation, I have to use 2-3 pumps to get a decent coverage, but in this case I only need one pea-sized amount to do my entire face and ensure it lasts the whole day.The setting powder is a new addition to my routine (I’ve used pressed powders in the past) and is another winner for me. I love it’s lightweight feel and the fact that it’s translucent, so doesn’t add any extra colour to the skin. I dust some of this over my T-zone after applying the Dermablend foundation, a touch of concealer and some cream blush, and it holds everything in place throughout the day. 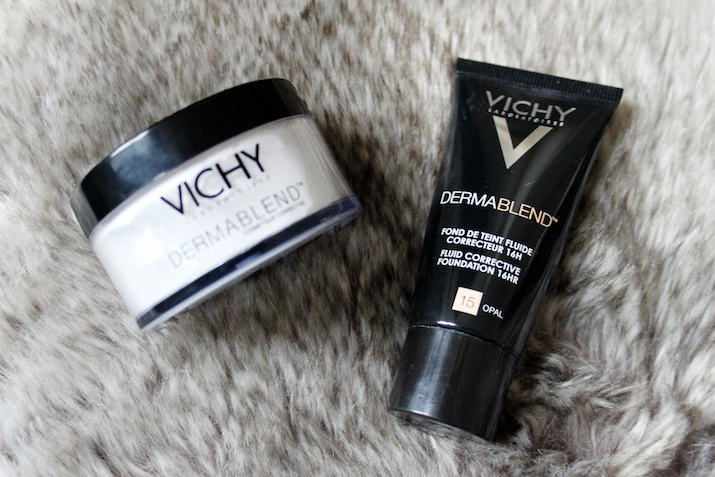 I’m so glad to have the Dermablend range back in my make up collection, and my skin has honestly never been better! The great thing about this range is that it’s gentle on the skin, and mine has cleared up massively since using this. I’m still on the same bottle after almost two months, and not even half way through the powder, but I’ll definitely be repurchasing. Next time I think about trying a new foundation from another make up brand, I will think again! 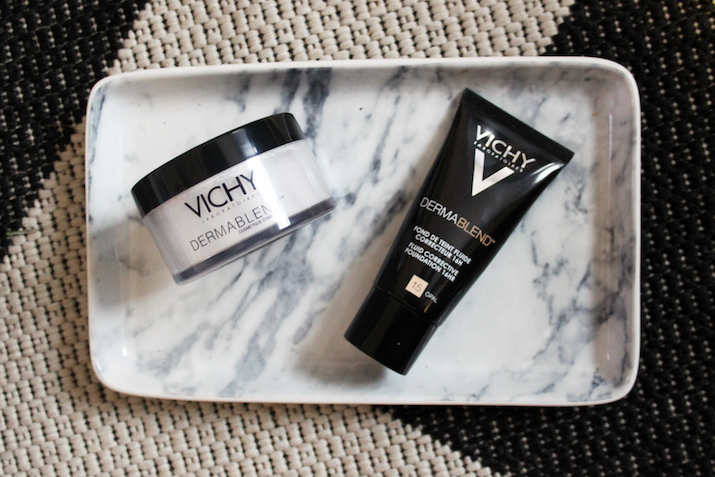 Have you tried anything from the Vichy skincare or make up ranges? Are there any products in the collection that you would recommend?